For the curry paste: Put all the ingredients listed under curry paste in a grinder and blend together until you get a smooth paste. For the prawns curry: Marinate the prawns and shrimps with 1/2 tsp of turmeric and little salt and keep it aside. Heat oil in a pan. When hot toss in the chopped onions and saute on medium heat until the onions are light golden brown. Add in the ground masala paste and curry leaves. Continue frying for 2-3 minutes. Now add the marinated prawns and shrimps and continue frying until the prawns have changed the colour to light pink..
Add the coconut milk and water and salt and bring to a boil. Toss in some slit green chillies. Check the seasoning. Add more tamarind or vinegar if required (according to your taste). Garnish it with coriander leaves and Serve it with Steamed rice. 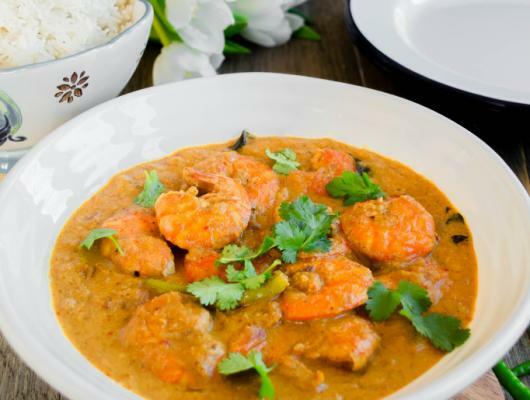 Goan prawns curry is a mildly sweet, spicy and tangy curry, flavoured with coconut, curry leaves and tamarind. It is easy to make and tastes delicious. 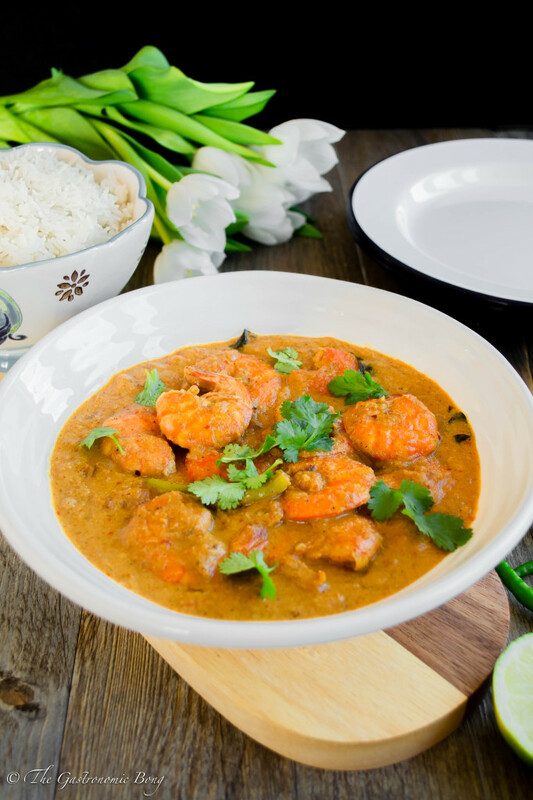 Plump prawns cooked in a fragrant coconut curry and served with hot fluffy rice makes a Perfect hearty and comforting weeknight meal!